I love open shelves and as you probably already know, I am more than a little partial to a shelfie! I think it is the combination of practical and pretty that makes me love styling up a shelf so much. In fact, I realised the other day, that I have open shelves in pretty much every room in the house. Even in the porch! 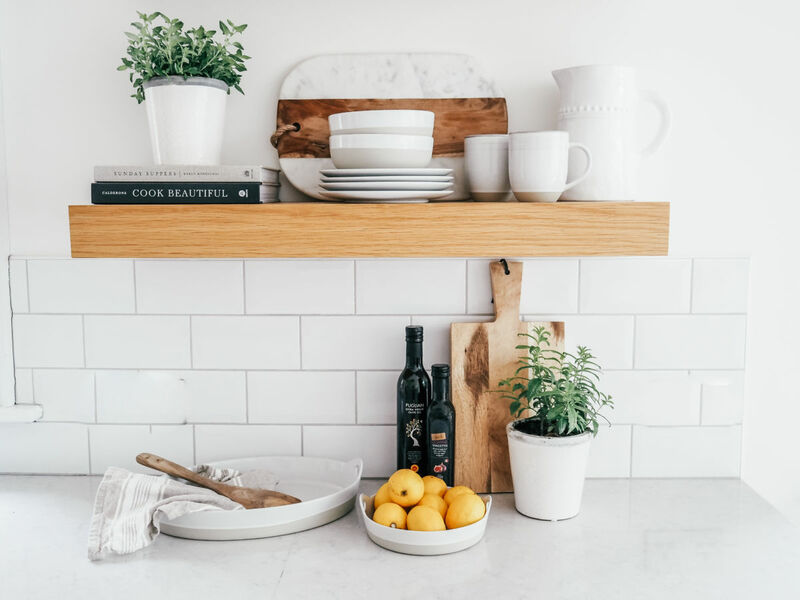 In the kitchen, they are perfect for storing cookbooks and often-used items such as coffee mugs, plates and even dried goods in pretty glass storage jars. In the bathroom of course you can fill them with all your essential products and in the bedroom a mix of pretty goods and useful items such as perfumes, picture frames and jewellery stands would be perfect. I love them layered with books, leaning pictures and a houseplant or two. If you don’t have built in shelving there are so many options that you can buy to add to your home in a whole range of different styles. 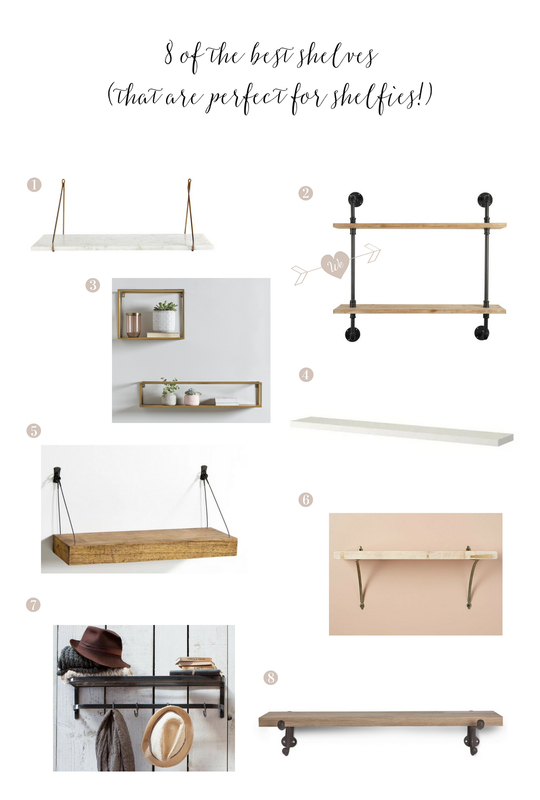 I don’t think you can beat a floating shelf, but I also love the more classic style of metal brackets which can add a real industrial touch too. Just don’t blame me when you lose a Saturday afternoon restyling them! Do you have open shelves in your home?